If you look up information about divorce, sooner or later you are going to run across people blogging about their divorce. This isn't a lawyer giving professional advice; this is a divorced or divorcing individual writing about their personal experiences. While not a professional viewpoint, it does offer interesting insights into both the mechanics of getting a divorce and the emotional side of such a traumatic upheaval in one's life. I think of "Postcards from a Peaceful Divorce" by Molly Monet as one lady who went through it all back in 2007 and now writes about the process, what happened, and how post-divorce life is shaping up while sharing the raising of two children with her ex. I can't help thinking that this woman managed to retain a certain level-headedness throughout her ordeal and has come out on the other side a well-balanced and adjusted individual. Plus she has an ex with whom she's managed to create a new relationship that is not at all acrimonious and beneficial for all parties involved including both children and parents. On the other hand, the posting "The Divorce Photo" by Marcelle Soviero paints a bleak view of a break-up that leaves the protagonists with little contact. There are 3 children involved and there is a sharing agreement entailing regular communication but the author points out she only exchanges email with her ex-husband. Seeing him is a rarity and in this article she talks about a chance encounter at Starbucks nine years after the divorce even though the two of them live only 5 miles apart. It seems that seeing him is unwelcome in the sense of what to do, what to talk about after legal proceedings left her in "financial ruins". She mentions their nondescript conversation where they opted to "stay inside safe words, afraid to trigger any of our hot issues." The above two examples are people who have come out the other side. One seems to have reconciled what happened and found some sort of peace while the other indicates unresolved issues. Nevertheless, these people have been through their divorces and are now years down the road. What about those who are currently in a divorce; who are smack dab in the middle of it? I am a week away from embarking on a life of complete solitude, I have been coping well. I show up to work everyday and give it my full effort, despite a disorienting case of physical and emotional exhaustion. I stay engaged with friends and colleagues. I bathe. I sleep. I breathe. For those of you who have gone through a marital dissolution, just accomplishing everyday tasks is a triumph. The one thing that has completely fallen by the wayside is the ability to eat and drink. The glass of wine I wolf down to calm my nerves before Eddie and I confront each other for the first time every evening doesn't count. We have nothing left to say, but the sight of his person walking through the door each night, casually humming as if the world isn't ending, gives me the vapors. But the concept of actual nourishment is beyond me. I experience fleeting pangs that tell me it's time to fuel up, but more often than not, I end up staring blankly at my plate and glass of water, like I do most other stimuli. For a while now I've been thinking of a particular subject for this next blog. It was going to be about the perks of living alone, like eating Baked Cheetos at midnight in bed, never having to do laundry, or being able to talk OUT LOUD to yourself and not worry if anyone hears you. But the more I thought about those things, which truly can be great in the moment, the more I realized they don't make me as happy as I thought they would. I want a hand to hold. A body next to me in bed. Someone to share the newspaper with on Sunday morning. I want to bicker about what we watch on t.v. and what we want for dinner. I want to look at him from across the soccer field as he leans over and whispers into our son's ear and know he's mine. You're getting a divorce. You're in the process of getting a divorce. It's seems surreal. Is this really happening? Could it be a dream or is it actually a nightmare? I am a survivor of a world-class gnarly divorce. My ex-husband is suing me for full custody of my son, and more time with my daughter. He’s super-rich and I’m super-not. You get the picture. In case you were wondering, his name isn’t really Prince Machiavelli and my name isn’t really Pauline. All of the names and identifiable elements in this blog have been changed. The last thing I need is to give my ex more incentive to sue me for money that I don’t have. He’s like that. This is an interesting situation. Pauline wants to blog and share with us but admits if her ex-husband found out, this would not be a good thing. Consequently, she blogs anonymously. Hmmm, and just what risk is she running here? Here's the scenario: you are in the middle of negotiating a divorce. Is blogging a good idea or a bad idea? While divulging your inner most secrets may be therapeutic, is there a risk to the negotiation process if opposing counsel, as it were, read your blog and found out those inner most secrets? In February of 2010, I started this blog and began calling Ex out as a deadbeat and a no show on the internet. He discovered my work in March and sent me a nasty note demanding that I label it as fiction or take it down. I have done neither and since that time, he has been an even bigger pain in my rump. He petitioned to reduce his financial obligation to the children to $40 per month, (presumably so he could no longer be called a deadbeat—$40 a month would certainly be affordable). He demanded to see the children on his non-negotiable terms. He tried to put me in jail. He called the police to our home on Christmas Day. I'm not asking this question as a criticism, I'm merely curious about the outcome. What would have happened if Ms. Parker did not blog? What would have her husband done? Was part of his motivation for what he did or attempted to do based on anger over what he had read in the blog? Then again, do we say that the benefits outweigh the dangers? Ms. Parker says on her About: This blog has been transformative for me. The support and friendships that have come through this endeavor have been sustaining and the authenticity and intimacy it has brought to my everyday life has been absolutely amazing. In the examples mentioned above, I find Molly Monet, Marcelle Soviero, and Annie Parker are blogging after their divorces and would guess that their blogging did not affect those events. Their blogging may be affecting their current situations but is this good or bad? Both Rebecca Sarwate and Kate are blogging real-time, while in the midst of the entire process including talking about, separating, and eventually, I imagine, doing the legal stuff and signing the final documents. How does blogging help them? Then again, what risks do they run if their partner or somebody associated with their partner discovered this information? Would it affect the negotiations? I see that while no-fault divorce may take the why off the table, it doesn't necessarily remove the how. When I say "how", I'm talking about the settlement and as of this writing, I'm not sure there is a formula which spells out in black and white just what a settlement should be meaning there's nothing else to negotiate, that's it, everybody go home now. It would seem that negotiation is still very much a part of the process. Blogging may be therapeutic for the individual, but could that also get the person into trouble? The pros and cons. The pros: get it off your chest, get some feedback, develop a support network as if this is an online version of a self-help group. 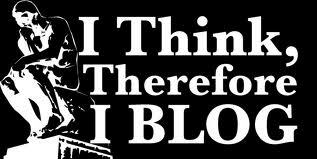 - Annie Parker sells a t-shirt that says, "Blogging: It's cheaper than therapy." - The (potential) cons: your spouse reads it; your spouse's lawyer reads it; your family reads it; your friends read it; and/or your co-workers read it. Of course, if you're doing this anonymously, there's nothing to worry about. Yes? Right? Hello? This is the story of my divorce, and my ensuing endeavors in dating life. No-fault divorce is a divorce in which the dissolution of a marriage requires neither a showing of wrong-doing of either party nor any evidentiary proceedings at all. Laws providing for no-fault divorce allow a family court to grant a divorce in response to a petition by either party to the marriage, without requiring the petitioner to provide evidence that the respondent has committed a breach of the marital contract. Laws providing for no-fault divorce also limit the potential legal defenses of a respondent who would prefer to remain married. There is no mediation involved. OK, Mystery Man, William Belle...I really wanna know: just who are you and what got you so interested in divorce? This is a really interesting dilemma. Blogging certainly helps people express their feelings and frustrations and reach out to a community of supporters. However, especially in the case of calling a former spouse a "deadbeat" such blogs can be more incendiary than healing. And in some cases can be out right violations of divorce decrees. Care needs to be taken in what is said in blog post as they are available to the public. While in the middle of a divorce, you really don't want your spouse to have more ways to cause harm or disrupt the divorce process. Actually, my lawyer advised me to remain pseudonymous until my youngest turns 18...before then, my ex can drag me into court using the bog against me. This is a great post WQB! My ex reads my blog pretty faithfully and it has had a pretty good impact on our relationship. Luckily he's open to me sharing some of the bad with the good, but he knows that each post has a message of resolution or a lesson learned. I think it has helped him understand me and my thought process better.